My name is Michaël Nde Tabefor, I reside in Cameroon. I grew up in the economic capital of the country surrounded by so much diversity and culture. Yet I was still very young when I developed an interest in technology, back in Primary school I had a PC at home I used to play around, most especially Spider Solitaire hahaha. Well that game sound crazy but it’s educative, it built up my reflex with the mouse and yeah it worth it. When I arrived in Secondary school I quickly picked up the subject. I began educating myself on the trend of Technology and how they work. I developed a great interest for organisations such as Google, what they doing for humanity not just about technology. So I understood that no matter the position I get, I must always contribute to Humanity by volunteering. When I got to the University back in 2014 as a Freshman, I enrolled into Software engineering program where I began excelling and widening my thinking and reflex, met with other enthusiasts of technology. Unlike other students I decided to go in for an internship at my first year (am one of those who believe university is good but it contribute to just about 10 – 20% of what builds up skill, people must be passionate about what the do, that passion alone will get you have the skills and be able to learn more and more). On my first day of internship, my internship coordinator gave me a task to go and install WordPress on my computer and create with the use of an external template (not there default themes) the website of my university. Let me make this point, I didn’t know about WordPress. Had no idea of what it’s meant for. Completely blank. I went back to my university, I met one of my professors, explained it to him, he redirected me to a senior student who once did internship and had to use WordPress. I went home, got my environment set up and called my senior, She did the guiding all through the installation on phone, till installing the template, my curiosity did the rest of the job hahaha, end of story. The next day I went back to the office, my coordinator didn’t expect me that soon Lol. So I worked on some tutorial on building themes and plugin from scratch from Lynda.com but I took a break from building cuz I didn’t have much skills in PHP, in first year we didn’t do web technologies, I began hacking on PHP on my own, basic’ly I learnt almost every skill on my own via research and practice. I worked on several sites that used WordPress and began installing for others. My coordinator told me it would be interesting to start a WordPress Community so others could benefit from it. 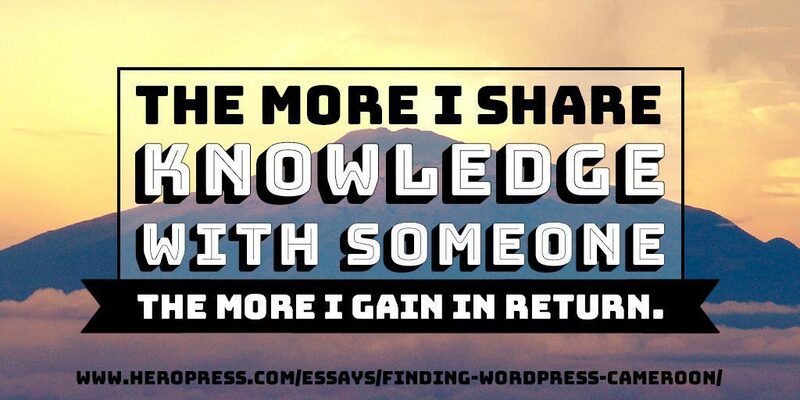 Actually the more I share knowledge with someone I gain 100% in return too, it builds up my mastery and ability to debug and resolve issues. 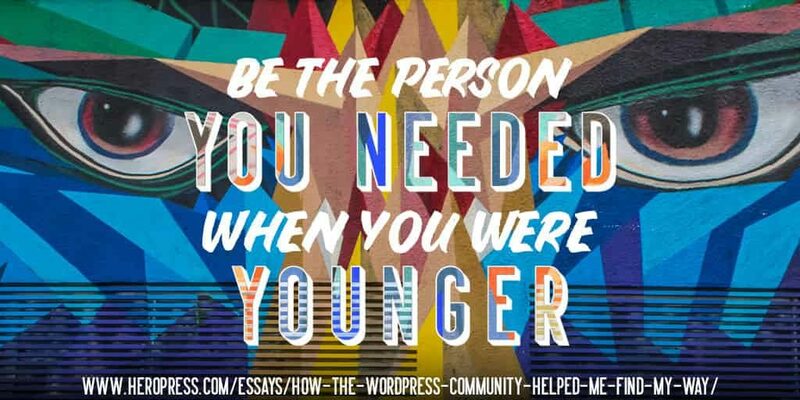 I began our local community and everyday I kept understanding WordPress more and more. After a couple of months I officially joined the WordPress Volunteer Community in doing more reach outs in (November 2015 – via Rocio Valdiva) and on April 15, 2017 I organized the very first WordCamp in the whole of Central Africa that brought together over 240 persons. Complete gallery on Flickr, Video on YouTube. After the WordCamp I later on built a Mobile Money Payment Gateway with a local Network Operator web payment API using WooCommerce. The post Finding WordPress in Cameroon appeared first on HeroPress.